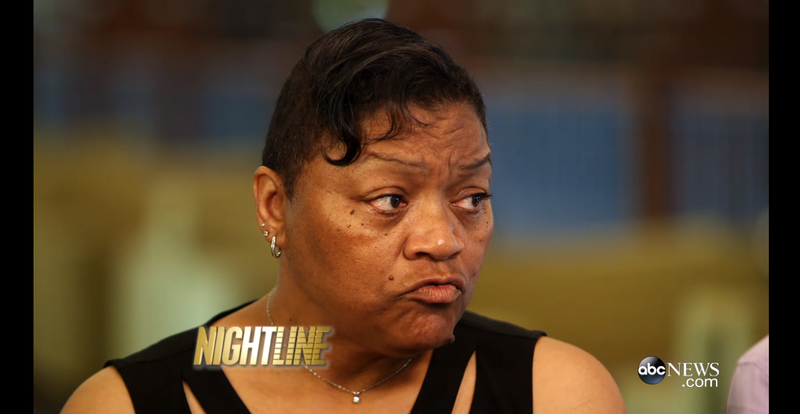 Kalief Browder's Mother: "The Whole System Destroyed My Son"
Home criminal justice interviews kalief browder suicide Kalief Browder's Mother: "The Whole System Destroyed My Son"
"I will be in hell until the day I die," said the mother of Kalief Browder, "because I found my son hanging." Browder's mother spoke with ABC News about the pain she suffers as a result of her son's suicide. She indicated in her interview that there was a systemic failure of the US criminal justice system to protect her son. "It's a whole system that destroyed my son. And I want them all to pay," she said. Browder committed suicide at his mother's home earlier this month after previously being incarcerated at New York's Rikers Island Correctional Facility. He spent three years there with his family unable to afford the $3,000 bail, and while incarcerated was subjected to long periods of solitary confinement. Inside Rikers he also made several unsuccessful suicide attempts. The charges against Browder were eventually dropped. "Prior to going to jail, I never had any mental illnesses." Browder said in an interview with HLN in 2013.